Governor of Victoria, since 2015. Judge, Family Court of Australia, 1995-2013. Board Director, Winston Churchill Memorial Trust, 2011-2015 and Chair, Victorian Regional Selection Committee, 2011-2015, and Member, 1997. Director, Australian Football League SportsReady and ArtsReady, 2012-2015. Commissioner, Australian Football League, 2008-2015. Member, Management Committee, The Unicorn Foundation, 2011-2015. Chair, Melbourne Festival, 2014-2015; Board Member, 2013. Trustee, National Gallery of Victoria and Member, Audit and Risk Committee, 2013-2015. 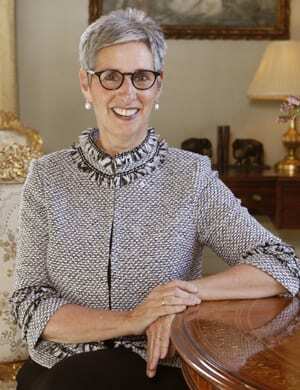 Governor of Victoria Linda Dessau said: “I am greatly honoured to be recognised in the Australia Day Honours List, particularly in light of the many wonderful Victorians and Australians alongside me. In my role as the Governor of Victoria, I see brilliance in every possible field of endeavour, and an endless generosity of spirit within our community. It is heart- warming that everyone recognised in the Honours List represents many others as well. Australia Day gives us the opportunity to gather together and to celebrate these diverse contributions as well as the diversity of our backgrounds, beliefs, skills and interests. We truly are ‘one but many’. It is one of our great strengths, but something that we must work on together to ensure that we continue to flourish – individually and collectively. Our strength of community and the capacity to support and help one another was at the fore immediately after, and in the days following the tragic events in our city last week. This difficult time keenly reminds us why unity matters, and that we are at our best as a nation when we are united. Deputy Director (Research) and Chief Scientific Officer, Baker IDI Heart and Diabetes Institute, current. Head, International Diabetes Complications Centre of Research Excellence, (a joint initiative of the National Health and Medical Research Council and Juvenile Diabetes Research Foundation), current. Founder, Danielle Alberti Memorial Centre for Diabetes Complications, 2003. Member, International Scientific Committee, current. Chair, Medical Science Research Committee, New York, current. Member, Partnership Projects Grant Review Panel, 2012-2014. Member, Career Development Fellowships, Clinical Panel 2, 2011. Member, Grant Review Panels, 5B Endocrinology and Diabetes Panel 2, 2011. Member, CEO Identified Work, Australian Fellowship Awards, 2009. Member, Australian New Zealand Clinical Trials Registry (ANZCTR) Policy Advisory Committee, 2006-2009. Member, Grant Review Panels and Assigners Committee, 2006-2009. Member, Grant Review Panels, 2000-2008. Fellow, American Society of Nephrology, since 2015 and Program Committee Member, 2014 and Member, since 1994. Chair, Scientific Program Committee, World Diabetes Congress, International Diabetes Federation, Australia, 2013. Chair, Hagedorn Conference, European Association for the Study of Diabetes, 2013. 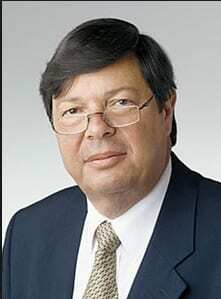 Past Councillor, Australian and New Zealand Society of Nephrology, 2000s. Reviews Editor, Clinical Science, current. Pre-Clinical Research Editor, Diabetes and Vascular Disease Research, current. Has published over 450 scientific papers. Recipient, Claude Bernard Award and Oration, European Association for the Study of Diabetes, 2016. Recipient, Basic Science Lecturer Award, Cardiac Society of Australia and New Zealand, 2015; Recipient, Gaston Bauer Award, 2007. Kroc and Ensinck Lectureship Awardee, University of Washington, Seattle, USA, 2014. Recipient, Australia Fellowship, National Health and Medical Research Council, 2009. Recipient, Scholars Award, Juvenile Diabetes Research Foundation, 2009 and Mary Jane Kugel Award, 3 times. Recipient, Kellion Award, Australian Diabetes Society, 2005. Recipient, The Eric Susman Prize, Royal Australasian College of Physicians, 1999. Recipient, Outstanding Foreign Investigator Award, Japanese Society of Diabetes Complications. Recipient, Ruth Osterby Award, European Diabetic Nephropathy Study Group. When he first heard of his nomination, Mark Cooper said he was pleasantly surprised. “ I am humbled, honoured and excited to be receiving this honour” he told J-Wire. 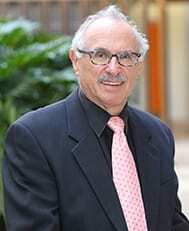 His mentoring of doctors includes groups from Tel Aviv University who come to Melbourne to study. He is proud of improvements in treating diabetes and the emphasis now placed on the dealing with complications that stem from the disease such as kidney and heart problems. “During my 30 years in this field we have been able to reduce the burden of kidney failure and see this as a very positive era. We are trying to develop rational, safe and effective treatments for diabetes” he said. 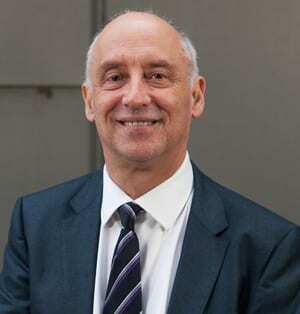 Professor of Geriatric Medicine, University of Western Australia, since 1998 and involved in the establishment of the Productive Research Unit at the Centre for Medical Research, since 2006. Director, Western Australian Centre for Health and Ageing, since 2000. Chair, Asia Pacific Geriatric Medicine Network, since 2005. Head, Inner City Geriatric Services, Royal Perth Hospital, since 1998. Research Collaborator, Assessment and Better Care, Dementia Collaborative Research Centres (Australian government initiative), ongoing. Leader, Geriatrics Groups, Cochrane Collaboration (Oxford University), current. Senior Lecturer, Geriatric Medicine, National Ageing Research Institute, 1989-1997. Chair, Discipline Panel, Gerontology and Geriatrics, 2004 and Member, 2014-2015, 2002-2004. Chair, Discipline Panel, Nursing and Geriatrics, 2009 and 2006 and Deputy Chair, 2008. Chair, Clinical Reference Group, Health Care of Older Australians Standing Committee, Australian Health Ministers’ Advisory Council, ‘for 7 years’. Fellow, since 2009 and Inaugural National Travelling Fellow, 2014. Member, Clinical Issues Committee, 2001-2007. Member, Policy and Planning Committee, 1993-1997. Member, Geriatric Medicine Education and Training Committee, since 1990. Member, Scientific and Research Committee, since 1990. Medical Scientific Committee Member, Osteoporosis Australia, 1995-2015. The Australian and New Zealand Bone and Mineral Society. The Royal Australian College of Physicians. Member, Editorial Board, Cochrane Dementia and Cognitive Improvement Group, since 1997. Geriatrics Editor, Internal Medicine Journal, ‘for 16 years’. Professor Flicker told J-Wire he was pleasantly surprised to learn about his award. “It’s rather wonderful to be honoured for doing something I really enjoy. I suppose it is for my contribution to geriatric medicine and research. “It is something I have been doing for the past 35 years. The standard of care has improved a lot and we are doing things so much better than we used to” he said. For distinguished service to the arts as a composer and concert pianist, to music education as a researcher and mentor, and through musical contributions to Australia’s contemporary culture. Honorary Doctor of the University, 2015. Emeritus Professor, School of Music, since 2005. Distinguished Visiting Fellow, since 2005. Head of Academic Studies, 2003. Head, Department of Composition, 1983-2005. Adjunct Professor, Monash University, 2004 and Keynote Speaker, Symposium of the International Musicological Society, 2004. Principal, Sitsky Performance Studio, since 2002. 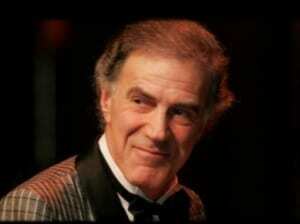 Composer, Concert Pianist, Author and Performer, ‘over many years’. Donates original manuscripts to fundraising auctions for charitable organisations, ongoing. Recipient, Distinguished Services Award, Australasian Performing Rights Association and Australasian Mechanical Copyright Owners’ Society, 2015. Larry Sitsky plans to spend this year writing a virtual opera of Dr Thomas Mann’s Dr Faustus. “The voices and music will be synthesised and I am about a third of the way through writing it” he said. He refuses to let age slow him down from doing what he loves – teaching, playing and composing music. “I would play horizontally if I had to. I live off challenges.” he said. Commenting on teaching he said: “I don’t just teach students; I learn from them, it’s a two-way thing. For distinguished service to medicine, particularly to the speciality of cardiology, as a clinician, through advisory roles with a range of medical organisations, and to the community. Honorary Consultant, Cardiology Unit, Royal Melbourne Hospital, since 1987 and Inaugural Inductee, Research Hall of Fame, Royal Melbourne Hospital, 2014. Established the first Mobile Intensive Care Ambulance Service (MICA) at Royal Melbourne Hospital and served as the inaugural head of the service for 12 months. Consultant Cardiologist, Epworth Healthcare, since 1996. Director of Cardiology and Chair of Cardiovascular Unit, Epworth Private Hospital, 1980-1996. Consultant Cardiologist, Olympia Rehabilitation Hospital, 1990s. Board of Directors, Victorian Division, National Heart Foundation, 1980-1996 and Recipient, President’s Award, 2009 and Member, since 1959. Vice-President, Asian Pacific Society of Cardiology, since 2007 and Executive Medical Advisor, since 1995. Member, North American Society of Pacing and Electrophysiology, 1982-2007. Member, Executive Committee, Asia Pacific Heart Rhythm Society. Life Member, The Cardiac Society of Australia and New Zealand. 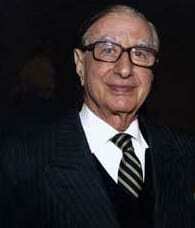 Executive Member, International Cardiac Pacemaking Society, 1976-1996. Guide, Shrine of Remembrance Melbourne, since 2004. Member, Editorial Board, European Journal of Cardiology, 1980s. Editor, Asia Pace News, 1985-2000. “I am very honoured to get recognition” Dr Sloman told J-Wire. “Two of my four sons live overseas and are visiting Melbourne at the moment so it good that they are all here so we can have a family celebration” he said. For distinguished service to the community through a range of philanthropic endeavours, and as a supporter of charitable, education and cultural organisations. Founding Director and Chair, Susan and Isaac Wakil Foundation, since 2015. Donor, University of Sydney, for scholarships for students undertaking nursing or midwifery studies (12 scholarships in perpetuity), from 2015. Donor, The Susan Wakil Health Building, Health Precinct, University of Sydney. Created an annual scholarship program to assist school leavers to transition into, and progress through, post-school study (TAFE or University), administered by the Public Education Foundation, since 2016. Donated funding for three scholars to undertake post-graduate study overseas, The General Sir John Monash Foundation, 2016. Donor, Renovation Appeal, St Vincent’s Private Hospital. Donor, Cure the Future Foundation, 2016. Donor, Opera Australia, for an Access Program to provide reduced price tickets for the opera for young people. Supporter, Patron Program, ‘for over 30 years’. Trustee, Art Gallery of New South Wales, ‘for many years’. Foundation Benefactor, Art Gallery of New South Wales Foundation, 1998 and Member, since 1988 and Donor for the Sydney Modern building project, 2016. Regular Benefactor, Australian Ballet; Museum of Contemporary Art, ongoing. Supporter, Cantorial Chair, Emanuel Synagogue, ongoing. Donor, Opera Australia, for an Access Program to provide reduced price tickets for the opera for young people and Supporter, Patron Program, ‘for over 30 years’. For distinguished service to the judiciary and to the law, particularly through reforms to criminal law and procedure, to legal education in Victoria, and to the administration of justice in Fiji and Norfolk Island. Judge, Court of Appeal, Supreme Court of Victoria, since 2008. Chief Justice, Supreme Court of Norfolk Island, 2005-2008. Additional Judge, Supreme Court of the Australian Capital Territory, 2003-2008. Non-resident Judge, Supreme Court of Fiji, 2003-2008. Judge, Federal Court of Australia (Melbourne), 1998-2008. Part time member, Australian Law Reform Commission, 1998-2006. Admitted as Barrister-at-Law, King’s Inns Dublin, 1991. Commonwealth Director of Public Prosecutions, 1988-1991. Appointed Queen’s Counsel, all other Australian States and Territories, 1987-1998. Appointed Queen’s Counsel, Victoria, 1986. Called to Victorian Bar, 1975. Admitted as Barrister and Solicitor, Supreme Court of Victoria, 1975. Admitted as Barrister and Solicitor, Supreme Court of New South Wales, 1974. Adjunct Professor, Deakin University, current. Dean, Faculty of Law, 1984-1985. Deputy-Dean and Acting Dean, 1982-1983. Board Member, Faculty of Law, Monash University, 1996-2003 and Research Assistant and Tutor, 1971. Visiting Professor, Osgoode Hall Law School, York University, Canada, 1975. Senior Lecturer in Law, University of New South Wales, 1974-1975; Lecturer in Law, 1972-1973. Chairman, Leo Cussen Institute for Continuing Legal Education, 2000-2008. Deputy President, Federal Police Disciplinary Tribunal, 2001-2007. Published three books, 16 articles in legal and academic journals, four chapters in books, and presented numerous papers at professional and academic conferences. Inns of Court Fellowship, 2016-2017. Fellow, Australian Academy of Law. Recipient, Vinerian Scholarship, an award to the top BCL scholar, Oxford University, 1972. Medical Director, Cheltenham Eye Centre and NewVision Clinics, Melbourne, Australia, since 1996. Clinical Senior Lecturer and Honorary Senior Fellow, University of Melbourne, 2008. Founding and current member, Excimer Laser & Research Group, since 1996. Member, Program Committee, annual scientific congress. Invited to deliver the RANZCO Council Lecture in 2010. Fellow, Royal Australian College of Surgeons, 1978. Fellow, American Board of Eye Surgery, 2005. Fellow, Royal College of Ophthalmologists (UK), 1989. Fellow, American College of Surgeons, 1985. American Society of Cataract and Refractive Surgeons. International Society of Refractive Surgery. Has authored more than 100 published articles and has contributed to more than 20 book chapters. Indian Intraocular Implant and Refractive Society. Australia Day Ambassador, 2016, 2013, 2012, 2011. Opera Australia and the Melbourne Theatre Company and The Melbourne Festival. Recipient, Certificate of Outstanding Contribution, Journal of Cataract and Refractive Surgery, 2015. Recipient, Lifetime Achievement Award, International Society Refractive Surgery, 2014. Recipient, Achievement Award, American Academy Ophthalmology, 2013. Recipient, Gold Medal, Eye Advance Congress India, 2012. Recipient, Lans Distinguished Award, International Society Refractive Surgery, 2012. Dr Alpins said: “It’s a huge honour to be recognised in such a way for my work in research and eye surgery” said the cataract and refractive eye surgeon. “I am also proud to be able to help eye patients worldwide. Any surgeons can use our website for free to help their patients with astigmatisms and analysis of eye shapes”. When asked about his involvement as an Australia Day Ambassador for four years, Dr Alpins said it was particularly special to be acknowledged in Australia and paid tribute to his wife for her tolerance over the many years he has been busy with work and research. For significant service to tertiary education as a researcher and administrator, and to the social sciences and Indigenous economic policy. Research Professor, Alfred Deakin Institute for Citizenship and Globalisation, Deakin University, since 2016. Emeritus Professor, School of Regulation and Global Governance (RegNet), College of Asia and the Pacific, since 2015. Foundation Director, Centre for Aboriginal Economic Policy Research (CAEPR), 1990-2010, Emeritus Professor, since 2014, Research Professor, 2010-2014, Professor, 1995-2010 and Reader, 1990-1995. Senior Research Fellow, Department of Political and Social Change, Research School of Pacific Studies, 1988-1990 and Research Fellow, 1984-1988 and Post-Doctoral Fellow, 1983-1984. Research Fellow, Department of Archaeology and Anthropology, Faculty of Arts, 1982-1983. Fellow, Academy of the Social Sciences in Australia, since 2003 and Member, Policy and Advocacy Committee, 2009-2011. Visiting Fellow, Australian Institute of Aboriginal and Torres Strait Islander Studies, since 2013 and Member, since 1984. Adjunct Professor, Research Institute of the Environment and Livelihoods, Charles Darwin University, since 2001. Policy Advisor, Australian Council of Social Service, since 2009. Professorial Fellow, Australian Research Council, 2008-2013. Honorary Fellow, Royal Society of New Zealand, since 2012. Trustee, Jimmy Little Foundation, 2012-2016 and Trustee, Uncle Jimmy’s Thumbs Up, since 2012. Foundation Director and Trustee, Karrkad-Kanjdiji Limited and Trust, since 2009. Chair, Research Committee, The Australia Institute, since 2013 and Member, since 2009. Fellow, Australian Anthropological Society, since 1996. Member, Economic Society of Australia, 1994-2005. Consulting Editor, various publications, ‘for many years’. 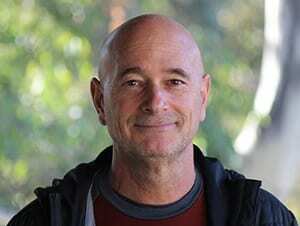 Professor Altman believes has was nominated because of his work with Indigenous policy and setting up the Centre for Aboriginal Economic Policy Research, an institution he believes is important for its research into Indigenous development. While he is sceptical about outcomes, he is pleased that the Centre’s importance has been recognised. He plans to tell his mother just prior to the news becoming public in order to keep to the official embargo on sharing the news before Australia Day. “I have a strong Jewish identity which gives me empathy in the work I do for Indigenous rights” said Professor Altman. For significant service to the law in the field of international commercial arbitration, and to professional legal organisations. 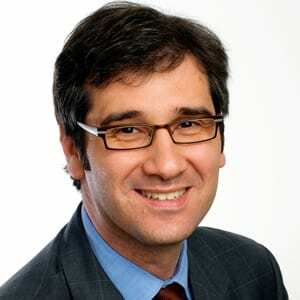 President, Australian Centre for International Commercial Arbitration, since 2014 and Vice-President, 2007-2014 and Board Member, prior to 2007 and Fellow, current. Principal/Senior Partner, King and Wood Mallesons, since 2012. Partner and Office Head, (Sydney), Holman Fenwick Willan, 2009-2012. Principal/Senior Partner, Blake Dawson, 2003-2009 and Solicitor, 1998-2002. Solicitor, Norton Smith and Co, 1991-1998. Member, Australian Government Delegation, United Nations Commission on International Trade Law, (UNCITRAL) Working Group on Arbitration, since 2005. Member, Arbitration Panel, ICC International Court of Arbitration, current and past Delegate, ICC Arbitration Commission, and Member, New York Convention Task Force. Member, Expert List, Panel of Recognised International Market Experts in Finance (P.R.I.M.E. Finance, international arbitration centre), since circa 2012. Member, Arbitration Panel, Korean Commercial Arbitration Board, current. Member, Arbitration Panel, China Maritime Arbitration Commission, current. Member, Arbitration Panel, Singapore International Arbitration Centre, current. Member, Law Society of New South Wales, since 1990. Author, ‘Arbitration Law of Australia: Practice and Procedure’, 2012 and co-author, Australian Chapter, ‘World Arbitration Reporter’. “When I received the letter about my nomination, I nearly jumped out of my skin, I could hardly believe it. I was joyful and humbled to be honoured like this” said Alex Baykitch. “I will celebrate with my wife, family and friends by having a quiet drink” he said. He felt his involvement in participating in the UN Commission on International Law in the development of model laws in relation to global arbitration was one of the most interesting things he has worked on. “Being part of something big is exciting” he said. For significant service to medicine, and to medical research, in the speciality of haematology, and as a mentor of young scientists. Senior Staff Specialist, Institute of Haematology, Royal Prince Alfred Hospital, current. Clinical Professor, Central Clinical School, The University of Sydney, current. Haematologist, Chris O’Brien Lifehouse, current. Clinical and research haematologist, Kanematsu Laboratories and the Institute of Haematology, Royal Prince Alfred Hospital, 1984-1991. Chair, Organising Committee, Annual Scientific Meeting, Sydney, Haematology Society of Australia and New Zealand, 2003-2005 and New South Wales Councillor, 1999-2005. Member, Drug and Therapeutics Committee, Royal Prince Alfred Hospital, since 2014. Member, Acute Leukaemia and MDS Disease Group Committee, since 2011. Member, Tissue Bank Management Committee, 2005-2012. Co-chair, Laboratory Science Subcommittee, 2000-2005. 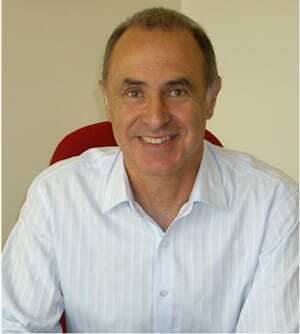 Principal Investigator, Acute Promyelocytic Leukaemia Clinical Trials, since 1997. Postgraduate Research Sub-committee, Combined Board of Postgraduate Studies in Dentistry, Medicine and Pharmacy, University of Sydney, 2004-2010. Reviewer, Medical Services Advisory Committee, 2001-2004. Member, Molecular Diagnostics Sub-Committee, RCPA Haematology QA Program, since 1998. Member, Australian Drug Evaluation Committee, 2000-2005. Member, Australasian Leukaemia and Lymphoma Group. Member, American Society of Haematology. Member, Human Genetics Society of Australasia. Member, Haematology Society of Australia and New Zealand. Health Research Council of New Zealand. St Vincent’s Hospital Research Fund. Child Health Research Foundation of Western Australia. Cure Cancer Australia and for a range of medical journals including Blood, Leukaemia and Lymphoma, Leukaemia Research, Pathology and Internal Medicine Journal. Lecturer, Leukaemia, Basic Physician Trainees, Royal Prince Alfred Hospital, 2001-2016. Webcast lecturer, Advanced Haematology Trainees, Myeloproliferative neoplasm, Royal College of Pathologists of Australasia, 2007-2016 and Chairman, Working Party on Nucleic Acid Amplification in the Diagnosis of Haematological Malignancies, RCPA, 1999-2000. Supervision of PhD, Research and Bachelor of Science Honours Students, Faculty of Medicine and School of Biological Sciences, University of Sydney. Mentor for Clinical Fellowships, Cancer Institute NSW. Recipient, Robert Pitney Travelling Fellow, Haematology Society of Australia and New Zealand, 2015-2016. 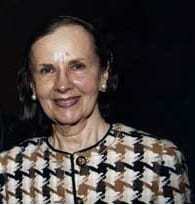 Recipient, Mortimer M Bortin Award, Molecular Biology of Haematopoiesis, Genoa, Italy, 1995. 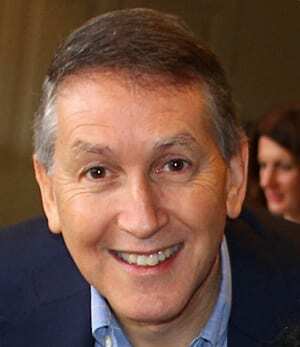 Recipient, Carl de Gruchy Orator, Haematology Society of Australia and New Zealand, 2016. 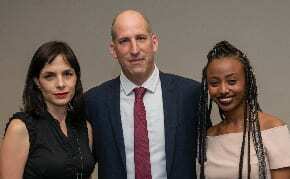 Harry Iland told J-Wire: “It is a great honour. I am very pleased and a bit surprised. “There are many other people who do similar work who did not get this” said Harry Iland. He will enjoy spending Australia Day with family who are visiting from overseas. Iland says he is proud that his research into acute promyelocytic leukemia –which is particularly different from other types – has lead to successful treatment and is now being used overseas. Chair, Brisbane Marketing, since 2006. Chair, Place Design Group, since 2010. Chair, Lord Mayor’s Economic Development Steering Committee, City of Brisbane, since 2011. Non-Executive Director, Brisbane Festival, since 2014 and Chair, Finance Committee, current. Chair, The Water and Carbon Group, since 2014. Board Member, Commonwealth Tax Practitioners Board, since 2015. Member, Queensland Private Enterprise Committee, 2010-2012. Non-Executive Director, Aboriginal Centre for the Performing Arts, 2008-2014. Director, Wide Bay Water C orporation, 2010-2013 and Member, Audit Committee, 2010-2013. Syndicate Chairman, CEO Institute, 2009-2011. Director, City Business Advisory Board, 2004-2011. Chair, Office of Economic Development for City of Brisbane Ltd, 2005-2006 and Director, 1999-2005. Chair, Queensland Artworkers’ Alliance, 2001-2004 and Director, 1998-2001. President (QId), Australia Indonesia Business Council, 2001-2003. Director, Brisbane City Hall Art Gallery, 1996-1999. Councillor, Tennis Australia, 1996-1998 and Director and Treasurer, Tennis Queensland, 1992-1998. Partner, Private Client Division, Pitcher Partners Chartered Accountants, 1990-2008. Taxation and Audit Divisions, Coopers & Lybrand (PWC), Brisbane, 1981-1989. Chartered Accountant, Institute of Chartered Accountants in Australia, since 1984 and Fellow. Fellow, Australian Institute of Company Directors, current. Ian Klug told J-Wire: “I am very honoured and surprised. There are many other people who make a terrific contribution. There are many others who help me do what I do”. “This is a wonderful award and I feel honoured to have even been considered” said Ian Klug. As his extended family will be at his home on Australia Day to celebrate his father’s 95th birthday, the occasion will be even more special when he tells them his news. For significant service to obstetric medicine as a clinician, to medical education, and to professional organisations. Visiting Medical Officer, Obstetric Medicine, Royal Hospital for Women, Sydney, since 1992. Visiting Medical Officer, Prince of Wales Private Hospital, since 2001 and Co-Chair, Medical Grand Rounds, 1993-2016. Visiting Medical Officer, Obstetric Medicine, St Margaret’s Hospital, Sydney, 1992-1998. Honorary Registrar in Medical Obstetrics, Queens Medical Centre, University Hospital, Nottingham, UK, 1991. Research Fellow, Departments of Renal and Obstetric Medicine, Prince Henry Hospital, Sydney, 1988-1990. 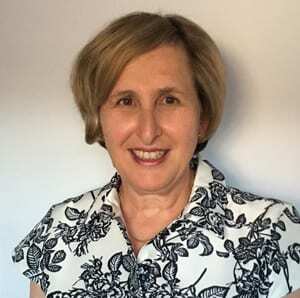 Conjoint Associate Professor, Department of Women’s and Children’s Health, University of New South Wales, since 2011 and Conjoint Senior Lecturer, 2006-2011 and Honorary Clinical Lecturer, 1997-2006. Chair, Organising Committee, Melbourne Conference, 2008-2010. Head, Organising Committee, Annual Scientific Conference 2006-2008. Honorary Secretary/Treasurer, Australasian Society for the Study of Hypertension in Pregnancy, 1995 – 2001. Chair, Obstetric Medicine Group, Australasia, 2003-2004. Examiner, Royal Australasian College of Physicians, 2007 and 2005 and Fellow, since 1990. Lead Author, ‘Australian and New Zealand Guideline on the Management of Hypertensive Disorders in Pregnancy’, Society of Obstetric Medicine of Australia and New Zealand, 2014 and 2009. Inaugural Co-Editor, ‘Obstetric: Medicine: The Medicine of Pregnancy Journal’, since 2007. 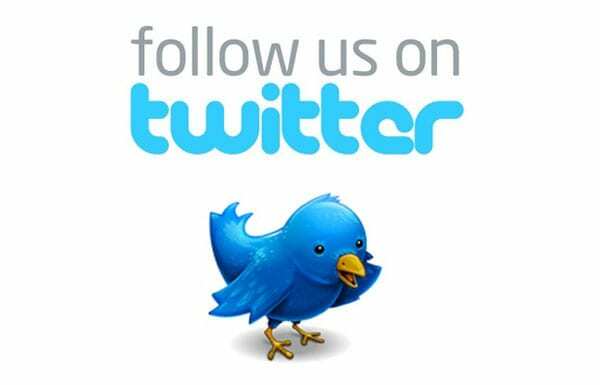 Has published a number of peer-reviewed articles and books, since 1989. For significant service to the judiciary, particularly to family law, to legal education, and to the welfare of children. Judge, Family Court of Australia, 1990-2011. Presidential Member, Administrative Appeals Tribunal, 2005-2011. Regional Coordinating Judge (VIC, TAS), 2004-2008. Chair, National Cultural Diversity Committee, 2004-2011. Chair, National Steering Committee, Living in Harmony Partnership, 2004. Chair, Chief Justice’s Ethnic Advisory Committee, 1994-2004. Project Leader, Family Court of Australia/AusAid/Indonesia-Australia Legal Development Facility, 2004-2008. Adjunct Professor of Law, Faculty of Law, since 2011. Board Member, Faculty of Law, 2000-2008. Member, Victorian Legal Aid Consultative Committee, 1996-1999. Member, National Alternative Dispute Resolution Advisory Council, 1995-1997. Executive Member, Family Law Section, Law Council of Australia, 1988-1990. Consultant, Matrimonial Property Reference, Australian Law Reform Commission, 1985-1986 and Past Consultant, Victorian Law Reform Commission. Barrister, 1980-1990 and Solicitor, 1972-1980. Chair, Forced Adoptions Implementation Working Group, Government of Australia, 2013-2014. Chair, Forced Adoptions Apology Reference Group, Government of Australia, 2012-2013. Special Adviser, Australian Psychological Society, Forced Adoptions, since 2015. Co-Patron, Chances for Children, Mallee Family Care, Mildura, Victoria, since 2002. Chair, Big Brothers Big Sisters of Australia, Melbourne, Victoria, 2002-2007. For significant service to community safety as an advocate for law enforcement and crime prevention programs. Vice-President, Crime Stoppers International, since 2013. Presenter, weekly segment, ‘Sunrise’ breakfast show, Channel 7. Chief Executive Officer, Crime Stoppers NSW, current. Lead Delegate for Crime Stoppers International and Australia, INTERPOL General Assembly, Qatar 2011, Columbia, 2013, Monte Carlo, 2014. Ambassador, Stay Smart Online Campaign, Department of Communications and the Arts, since 2010 and Member, Steering Committee. Law Enforcement Liaison Director, Internet Industry Association (IIA), 2011-2014. Coordinator for Crime Stoppers Australia, ‘Australia’s Most Wanted’, Ten Network, 2013. When asked how he felt about receiving the award, Peter Price stated that “stunned is probably an apt description”. For significant service to the biotechnology industry, to the development and commercialisation of biomedical science, and as a mentor. 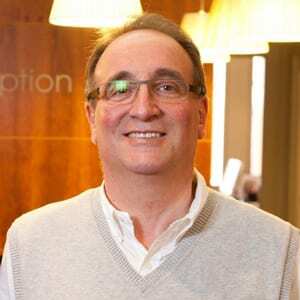 Founder and Managing Director, Circadian Technologies Ltd, 1984-2008. Projects have included research into Neurodegenerative disorders such as stroke, Parkinson’s disease and Alzheimer’s disease, cancer, medical instrumentation, pain management, obesity and macular degeneration. Since 2008 has been involved in encouraging philanthropic investment and has worked with the Ludwig Institute for Cancer Research to identify major philanthropic initiatives and potential supporters. Recipient, AusBiotech’s Chairman’s Excellence Award, 2010. Inaugural recipient, BioMelbourne Network Lifetime Achievement Award, 2008. Leon Serry declined to comment to J-Wire. “It is not my thing to gain publicity” he said. For significant service to the law, and to legal standards and education, particularly in the field of notarial studies. Principal, Peter Zablud and Co Solicitors and Notaries of Melbourne, since 1990 and Barrister/Solicitor, since 1970 and Notary, since 1990. 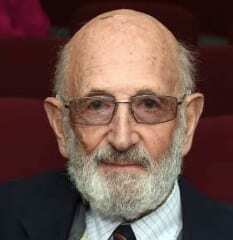 Director of Notarial Studies, Sir Zelman Cowan Centre, Victoria University, since 2000. Founder and Chairman, Australian and New Zealand College of Notaries, 2007-2014 and Distinguished Fellow, 2012. Director, World Organisation of Notaries, since 2013 and Director of Education, current. Expert Observer, Hague Conference on Private International Law, since 2007. Member, expert group in the preparation of the Apostille Handbook – A Handbook on the Practical Operation of the Apostille, 2013. Individual member, International Union of Notaries, current. International Associate, Society of Notaries of England and Wales, current. Honorary member, Society of Notaries of South Australia, current. Author, ‘Principles of Notarial Practice, 2nd Edition’, (The Notary Press, Melbourne, 2016). Author, ‘Notarizing for International Use – A Guide for American Notaries, Attorneys and Public Officials’, (The Notary Press, Melbourne, 2012). Author, ‘Principles of Notarial Practice’, (Psophidian Press, Melbourne, 2005). Author, ‘A Notary’s Forms and Precedents’, (Psophidian Press, Melbourne, 2002). Delegate, Victorian Jewish Board of Deputies (JCCV), 1975-1988. Member, Board of Governors, Mount Scopus College, 1979-1988. Vice-President, Honorary Solicitor and Board Member, Victorian Auxiliary, Zahal Disabled Veterans Organisation of Israel, 1975-2006. “I am thrilled to bits” said Professor Zablud. “It was a really nice surprise to be recognised for something about which I am passionate. I teach notary studies and this came out of the blue. My parents would have been so proud” he said. He will be celebrating modestly with a family afternoon tea. Zablud said these things didn’t happen in a vacuum and paid tribute to his wife, Robyn for her support and his colleagues at the Sir Zelman Cowan Centre at Victoria University. 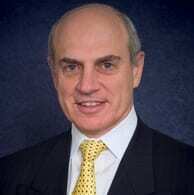 Professor of Management, University of Queensland Business School, since 1986 and Associate Dean, Faculty of Business, Economics and Law, 2004-2008 and PhD Student Supervisor, since 1989. Editor-In-Chief, Journal of Organizational Behavior, 2007-2014. Editorial Board Member, Journal of Applied Psychology – Journal of Management, since 1999. Associate Editor, Emotion Review, current. Associate Editor, Academy of Management Review, 2011-2014. Series Co-Editor, Research on Emotion in Organisations, current. Published over 100 journal articles and book chapters and Co-Author, over 200 conference papers. Fellow, Academy of Social Sciences Australia, since 2010. Fellow, Academy of Social Sciences United Kingdom, since 2012. Member, Australian Psychological Society, since 1990 and Member, College of Organisational Psychologists, since 1995 and Recipient, Elton Mayo Award, 2011. Fellow, Society for Industrial and Organizational Psychology, since 2006. Chair, Research and Development Sub-Committee, 2007-2008. Recipient, Excellence in Research Supervision Award, 2012. Fellow, South Management Association, (USA), since 2015. Fellow, British Academy of Management, since 2016. Councillor and Fellow, Queensland Academy of Arts and Sciences, since 2015 and Member, since 2005. Fellow, Churchill Fellows Association Queensland, since 1975. Civil Engineer, Queensland Irrigation and Water Supply Commission (later Queensland Water Resources Commission), 1968-1986 and Executive Engineer Water Supply Investigations, 1976-1986. 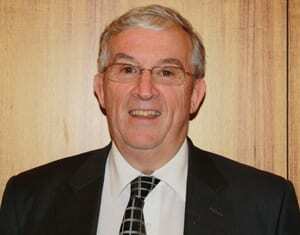 National President, Hydrology and Water Resources, Engineers Australia, 1986 and Member, National Committee in Hydrology and Water Resources; Member, 1982-1986. Inaugural Member, Committee Chair and Life Member, Toowong Harriers Little Athletics, since 1982 and Centre Manager, 1983-1990. Finance Director, Little Athletics Queensland, 1995-1998. “I am enthusiastic about what I do. I have been a schlepper all my life and it is really nice to be appreciated with this honour” he said. Neal Ashkanasy said he worked out who nominated him and to celebrate would take that person out for dinner. When asked about the spelling of his surname, he agreed it was a unique spelling, adding that it was pronounced in a unique way too. He reminisced that one of the houses at Mt Scopus in Melbourne was named after his father. Associate Professor, The Northern Clinical School, The University of Sydney, current and Doctor of Medicine, 2011 and Lecturer, since 1991. Senior Dermatology Visiting Medical Officer, Royal North Shore Private Hospital, since 2006. Senior Dermatology Visiting Medical Officer, The Mater Hospital, since 2012. Senior Dermatology Visiting Medical Officer, Sydney Adventist Hospital, Wahroonga, 2005 – 2011. 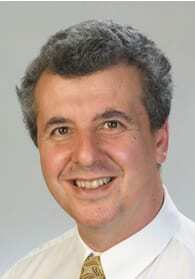 Senior Dermatology Visiting Medical Officer, The Children’s Hospital at Westmead, 1996 – 2011. Co-Founder and Manager, ‘CareDownThere’ group, current. Author, over 75 peer reviewed articles, book chapters and books. Member, Editorial Board, Medicine Today, since 2012. Member, Editorial committee, Australasian Journal of Dermatology, 2008 – 2010. Member, Editorial Board, Paediatric Dermatology, since 2006. Dean of Education, Board of Directors, 2013 – 2015. Member, Board of Directors, 2013 – 2015. Member, Public Affairs Committee, since 2014. Chair, Academic Futures Committee 2011 – 2014. Chair, Dean of Education, National Education Committee, 2013-2015. Member, Pre-Eminent Academic Status Pathway Assessment Committee, since 2013. Member, Medical Special Interest Committee, since 2012. Chief Examiner, Board of Censors, 2010 – 2012 and Member, 2002 – 2010 and Chief Examiner Elec, 2009 – 2010 and Examiner, since 2000. Member, International Medical Graduate Assessment Committee, 2010 – 2012. Member, International Medical Graduate Academic Subcommittee, 2011 – 2012. Editorial Committee, 2007 – 2009. Member, Education Committee, NSW Branch, 1996 – 1999. Chair, NSW Faculty, 2007 – 2009 and Member of Faculty, 1993 – 1999. Member, Appeals Committee, 2007 – 2009. Member, Training Taskforce, 2005 and Member since 2013. President, Australian and New Zealand Vulvovaginal Society, 2008 – 2011 and Vice-President, 2005 – 2008. Member, International Society for the Study of Vulvovaginal Disease, current. Member, Steering Committee, Australasian Society for Study of Vulvar Disease, 2004-2008. Member, Australian Medical Association, since 1988. Member, Society for Paediatric Dermatology and American Academy of Dermatology and National Vulvodynia Association, current. Recipient, F & E Bauer Award, ‘for best original research presentation at meeting’, Australasian College of Dermatologists, 2011 and 2000 and 1994. Recipient, Best Paper, International Society for the Study of Vulvovaginal Disease, 2011. Gayle Fischer is both happy and very humble to be receiving her award. “It is nice to get some feedback on all the pro-bono work I have done over the years” she said. While she has not told people the news, she has asked some colleagues over for a classic Australia Day backyard bbq – plus a glass of champers – and thinks they might have guessed the reason for the gathering without being told. For service to the community through support for a range of organisations. Jewish Care Victoria, ‘for over two decades’. Jewish National Fund, ‘for many years’. Peter MacCallum Cancer Centre, since 2004. McAuley Community Services for Women. Epworth Medical Foundation, Epworth HealthCare. Chair, Fundraising Group, Cystic Fibrosis Victoria, 1996-1997. 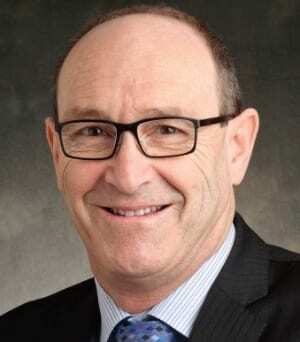 Chairman, Holckner Group, since 1995 and Director, Encore Tissue, since 1998 and Director, TKG Australia Pty Ltd.
Past Director, Smorgon Family Group/Smorgon Consolidated Industries. Consultant Obstetrician and Gynaecologist/Head of Unit, The Royal Women’s Hospital, Melbourne, 1985-2000; Obstetrician in Charge, Chemical Dependency Unit, 1991-2005; Head, Fetal Management Unit, 1994-2002; Senior Registrar, 1985; Resident and Registrar, 1980-1982. Awarded the Tracy Maud Travelling Scholarship, specialised in High Risk pregnancies, Chemical Dependency and HIV Management in Pregnancy, at a number of hospitals in New York, USA, 1987. Assistant Registrar, Royal Hampshire County Hospital, UK, 1983-1984. Senior Lecturer, Department of Obstetrics and Gynaecology, University of Melbourne, since 1990. Fellow, Royal Australian College of Obstetrics and Gynaecology, since 1985; Member, since1983. Australasian Society for Ultrasound Medicine. Australian Gynaecological Endoscopy and Surgery Society. Australia and New Zealand Vulvovaginal Society. Australian Society of Colposcopy and Cervical Pathology. Society of Obstetric Medicine of Australia and New Zealand. Leonard Kliman is grateful for the recognition of his peers for his years of work with pregnant women with drug and alcohol problems. He is proud that his lobbying the State Government resulted in receiving funds to set up a clinic near The Royal Women’s Hospital to treat disadvantaged pregnant women, a place where they could be looked after “without being judged”. “ I did that for 15 years before stepping down” he said. While he and his wife plan to go out for dinner – “she opens the mail so she was aware”– they plan to inform family through their WhatsApp family group. He accepts this will bring a flurry of calls. Founder and Chairperson, ‘Women in Rotary’ Project, since 2011. Executive Committee Member, Violence Free Families, current and Board Member, since 2011 and Fundraiser, since 2010. Worked with the Indigenous Rotary ‘End Trachoma 2020’ Project, the ‘Footy Nuts’ Indigenous Health Program, and the ‘Nourish Our Kids’ Program, in conjunction with Red Dust Role Models, since 2012. Coordinator, Project Kitchen Garden, Nganambala School, Emu Point, Northern Territory, 2013. Recipient, Paul Harris Fellowship, 2010 and 2013. Mentor, New Enterprise Incentive Scheme, Holmesglen TAFE, since 2014. Project Director, White Dove Patrons, Bridge of Hope Movement, since 2016. Kerry Kornhauser told J-Wire she was overwhelmed and surprised that she had been nominated. “I feel very humbled by the recognition” she said. She is proud of the annual breakfasts that Rotary runs to instil gender diversity into the workplace. “Most of the people who attend are not Rotarians. I find that very satisfying” she said. Kerry Kornhauser has particular pride in the Project Kitchen Garden at Emu Point, NT. Residents of this small community, six hours drive south of Darwin, are now growing their own vegetables and fruit. “It’s the real outback, very dusty, and there was a need to address the remote community’s eating habits. I am very proud of their success” she said. Her next challenge is a five year project to eliminate trachoma in Australia, starting in Central Australia. It has been hard keeping her news a secret but she has organised a typical Australia Day bbq to share with family and friends. For service to education, to youth, and to the community. Chair, Finance Sub-Committee and Fundraising. 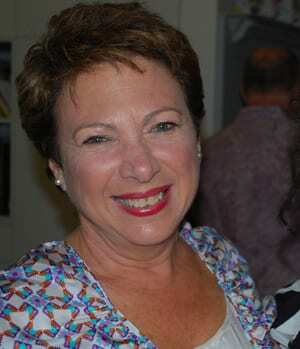 Chair, The King David School Foundation, since 2008; Member, since 1990. Board Member, representing The King David School, 15 years. Board of Management Member, Temple Beth Israel Synagogue, 1988-1992. Involved with the establishment of the Victorian Union for Progressive Judaism. Treasurer, 10th Caulfield Scout Group, 1997-2000, and 2003-2005. Michael Lawrence told J-Wire: “I am extremely humbled and honoured to have been chosen.” Mr Lawrence credits his involvement at The King David School as his most significant achievement. Established on the principles of inclusion, egalitarianism and social justice, The King David School strives to embed in students a strong and proud Australian identity and a close and meaningful relationship with the Land and State of Israel. For service to the Jewish community through a range of organisations. 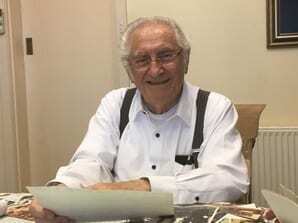 Len Mahemoff told J-Wire that he has carried out communal work for all his adult life and had spent more than 50 years in B’nai B’rith and currently helps in seeking bequests for JNF. Len Mahemoff say that he gains satisfaction from helping the senior age group. For service to the community through a range of organisations, and to interfaith relations. Member, Australian National Dialogue of Muslims, Christians and Jews, since 2002. Executive Member, Jewish Communal Appeal, 2010-2014. 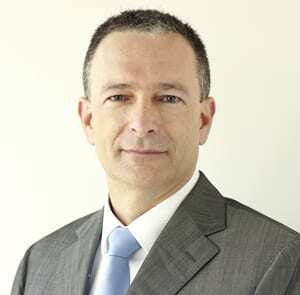 Chief Executive Officer, United Israel Appeal (New South Wales), since 2014. Director, Council for Jewish Community Security New South Wales, since 2005. 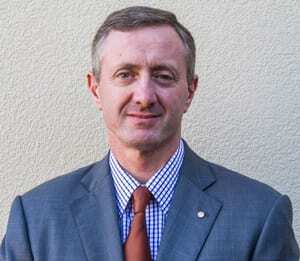 Executive Director, Jewish Emergency Management Plan New South Wales (JEMP), 2008-2014. Named as one of the 50 most influential people in New South Wales, Sydney Morning Herald, 2015. Member, Board of Governors, International School of Jewish Leadership, Israel, since 2011. 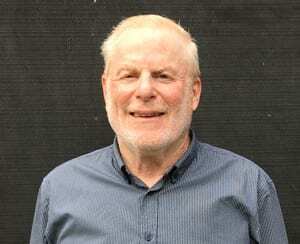 Board Member, Memorial Foundation for Jewish Culture, New York, since 2006 and Alumni Advisory Board Member, Nahum Goldmann Fellowship, since 2007. Board Member (Governor appointed), Judicial Commission of New South Wales, 2015-2018. 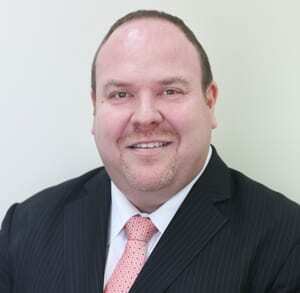 Community Board Member, New South Wales State Parole Authority, 2012-2014. Member, Jewish Ministerial Consultative Committee, 2011-2014. Honorary Secretary, Kehillat Masada Synagogue St Ives, since 2007. Director, New South Wales Jewish War Memorial Community Centre, 2001-2010. For service to youth, and to charitable organisations. Volunteer, Ardoch Youth Foundation, since 1990s and Ambassador, since 2005 (provides education support for children and young people in disadvantaged communities). Founder and Coordinator, KOGO (knit-one-give-one), since 2004 (a not-for-profit organisation that asks volunteers to donate time and wool to knit warm winter clothes that are distributed to people in need through over 250 community groups). Roslyn Rogers intends holding an afternoon tea to celebrate her award – she just has to wait until it is official to send out invitations. “It’s very exciting and it’s still a secret” she said. She gets a lot of satisfaction from both the knitters and the recipients of KOGO which gives her the motivation to keep trying to make a difference. For service to therapeutic optometry, and to professional bodies. Principal Fellow, Department of Optometry and Vision Sciences, University of Melbourne, since 2008. Member, Scheduled Medicines Advisory Committee, Optometry Board of Australia, 2010-2015 and Member, National Prescribing Group, Expert Reference Group, current. Education Advisor, Optometry Council of Australia and New Zealand, 2010-2014. 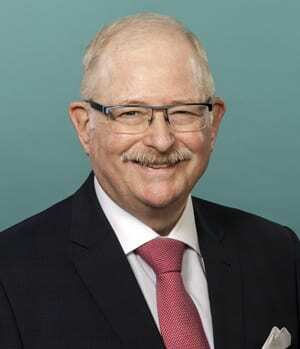 Inaugural Clinical Editor, ‘Optometry Pharma’, Optometrists Association of Australia (now Optometry Australia), since 2008 and Representative to Pharmaceutical Benefits Scheme Advisory Committee, 2007. Councillor, Optometrists Association of Australia, Victorian Division (now Optometry Victoria), 1990-2000 and Chair, Therapeutics Committee, 1995-2000 and Member, Education Committee, 1992-2000. ORBV Representative, Poisons Advisory Committee, Health Department Victoria, Optometrists Registration Board of Victoria (ORBV), 1998-1999 and Member, Therapeutics Committee, 2000-2010. Member, Board of Continuing Education, Australian College of Optometry, 2004-2010. Member, Education Committee, Southern Regional Congress, 1990-2000. Volunteer Optometrist, Polyclinic, Sydney Olympics, 2000. Recipient, Outstanding Achievement Award, Optometry Victoria, 2004. “It is an honour to receive this kind of recognition. One doesn’t set out to get recognised but it is nice. There is group of people who I have worked with, particularly my wife Nicole, who are part of this effort” said Mark Roth. 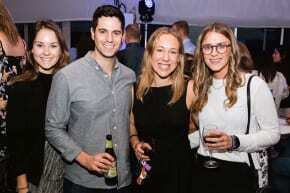 “It is a good thing for the optometry profession which I see as much more than a job. I also enjoy teaching as I think advocacy for the profession is really important. It’s an obligation to teach the next generation” he said. Mark Roth will attend an A League football game on Australia Day and if his team – Melbourne Victory – wins, that will be all the celebration he needs. Board Member, ‘for 24 years’. Honorary Life Governor, since 2009. 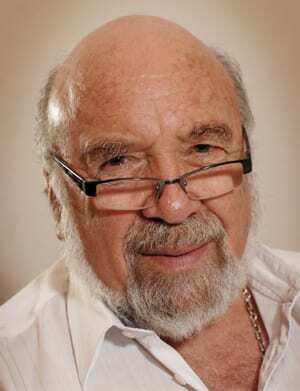 Chairman, Emanuel Synagogue Cultural Fund, 2008-2013. Chairman, Executive Committee, since 2013. Chairman, Management Committee, Emanuel Gardens Retirement Village, 2003-2007 and Committee Member, 1999-2007 and Honorary Solicitor, 1999-2007. 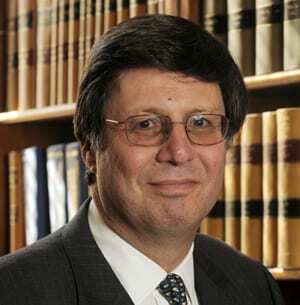 President, Temple Emanuel Woollahra Kindergarten, 1988-1994 and Honorary Solicitor, 1986-1992. Chairman, Schizophrenia Research Institute, since 2013 and Board Member, since 2011 and Member, Donations Committee, since 2008 and Director, NeuRA, since 2015. Chairman, Silver Committee, Royal Institute for Deaf and Blind Children, 1985-1998 and Member, 1978-1991 and Life Member, since 1986. Life Member, Swiss Community Care Society, since 1998 and Honorary Solicitor, since 1982 and Honorary Solicitor, Swiss Historical Society, since 2007. Member, Schizophrenia Research Council, since 2016. Founding Partner, Schweizer Kobras Pty Ltd, since 1978 and Public Notary, since 1989 and accredited specialist in business law, since 1994. German International School and its related entities. Allambie Heights Retirement Village (formerly the Martin Luther Homes), Allambie Heights. St Hedwig Retirement Village (formerly St Raphael’s Retirement Village), Blacktown. B’nai B’rith Courage to Care (NSW) Inc.
German Consulate General in Sydney. Swiss Consulate General in Sydney, since 1991. Swiss Embassy in Canberra, 2002-2015. Swiss Australian Chamber of Commerce and Industry, since 1985. Swiss Consulate in Melbourne, 2004 -2007. 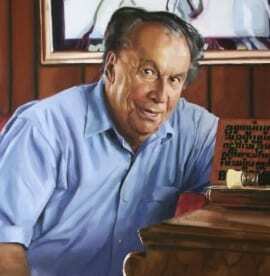 Recipient, John Simpson Kirkpatrick ‘Standing for Something Award’, Church of Jesus Christ of Latter-Day Saints, 2013. Recipient, Cross of the Order of Merit, Federal Republic of Germany, 2010. “I am very humbled by this honour” said Norbert Schweizer. 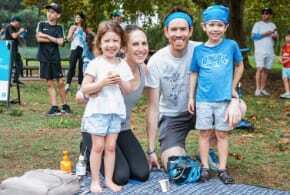 While he has worked on a wide range of various committee and board roles over the years, he says spending more than two decades on the board of Emanuel Synagogue in Sydney and later as the Synagogue’s president were “his proudest achievements to date”. When asked about what it was he enjoyed about “doing his part”, he says it gives him “a wonderful sense of achievement to contribute to the welfare of others”. For service to the community, and to the construction industry. President, Australian Friends of the Hebrew University of Jerusalem-Victoria, 2006-2011 and Committee Member, 2004-2014. Member, Executive Committee of the Board of Governors, Hebrew University of Jerusalem, ‘for 10 years’. Member, Centre for Jewish History and Culture Advisory Board, University of Melbourne, since 2008. Chairman, Education Committee, United Israel Appeal Victoria, 1993-2003 and Member, Inner Cabinet, 1978-2003 and State Chairman, 1993-1996 and Volunteer/Member, since 1973. Council Member, Bialik College, 1992-1996. President, Hakoah Ajax Cricket Club (now Maccabi Ajax Cricket Club), 1978-1981 and Member since 1974. 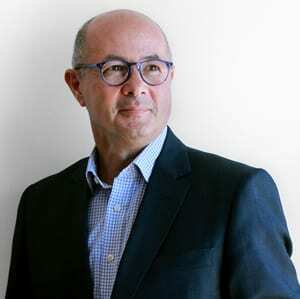 Managing Director, Construction Engineering Aust Pty Ltd, since 2007 and Director, since 1981 and Project Manager 1978. For service to the community, particularly to human rights and social welfare. Australian Marriage Equality, since 1998. Wear it with Pride Campaign, since 2010. Ambassador, Mother of the Year Awards, Barnados Australia, current. LBGTI Law Reform and Civil Rights ‘for many years’. Child Protection and Adoption and Children at Risk, ‘for many years’. Jacqueline Stricker-Phelps expressed her gratitude upon receiving the award. “I am very honoured and I was not expecting it. I have been working for nearly 20 years now on equality issues, something that I believe so passionately in”. Whilst Ms Stricker-Phelps noted that marriage equality remains a pressing issue in Australia, she paid her respects to those who have worked tirelessly to advance the cause of LGBTI equality. “So many people have worked on equality and I have met such dedicated people along the way… The fight for marriage equality is not over and all the good people will keep fighting”, stated Ms Stricker-Phelps. For service to the community, and to architecture. Creator, Club Coaching Fund, 2011. Initiator, Maccabi All Abilities Project, since 2012. 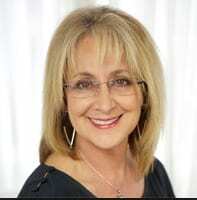 Board Member, Emmy Monash Aged Care Home, since 2012 and Member, Building Project Control Group, 2011-2012. Member, Building Project Control Group, Beth Weizmann Community Centre, 2009-2011. Chair, Corporate Club, Jewish Museum of Australia, 2009-2013. Major financial contribution to establishment of school archival system, Mt Scopus Memorial College, 2011 and oversight of school’s Master Plan, 1980-2004. Member, Building Project Control Group, Jewish Holocaust Museum and Research Centre, since 2016. Project Manager, range of developments including David Mandie Sports Pavilion in Albert Park; Life Member, since1972. Founder and Director, Synman Justin Bialek Architects, 1976-2005. Member, Standing Complaints Committee, throughout 1990s. Member, National Practice Committee, 2005-2008. Member, Tribunals Panels, since 2006. Member, Building Project Control Group, Metropolitan Golf Club, since 2009. Recipient, Volunteer of the Year Award, Maccabi Victoria, 2013. For service to people with Parkinson’s disease. Founder of ‘Punchin’ Parkos’, 2013. 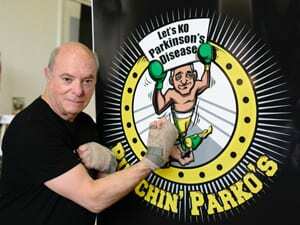 (Punchin’ Parkos is a series of non-contact boxing exercises empowering people with Parkinson’s disease to increase the neuro-plasticity of the brain which reduces the symptoms of the disease, and assists in making day-to-day living more tolerable – the exercises are not a cure for the disease). Assists with group exercise programs, VT1 Martial Arts Academy, Chatswood, ongoing. Supporter, Parkinson’s New South Wales, ongoing. “I don’t think I am deserving enough to be given an award like this. There are a lot of other people more deserving” said Adrian Unger. “However I can say that I am completely chuffed at the unexpected honour and am happy to receive it on behalf of ‘Punchin Parkos’” he said. “We are having friends and relatives over on Australia Day and it will be a nice surprise for them” he said. For service to the performing arts as a musician and composer. Good Vibrations Concertato for Orchestra, Queensland Youth Orchestra, 2015. The Environmental Symphony, performed by Melbourne Symphony Orchestra, 2015. Oboe Concerto (performed by Diana Doherty), 2011. Environmental Symphony (narrated by Sir Richard Branson), Banksia Environmental Awards, 2010. Olympic Rhapsody, Sydney 2000 Olympic Games, 2000. The Hobbit stage production score, Polyglot Theatre Company, 1996. Composed scores for over 40 films, documentaries, television and theatre. Concerto Australiana, Australian Youth Orchestra, Australia Day Bi-Centennial, Sydney Opera House, 1988. Trumpet Concerto, Sydney Symphony Orchestra and Munich Radio Orchestra, Germany, 2002. Winner, Popular Song Contest, Asian Broadcasting Union, Malaysia, 1987. Recording, Red Cross International, Centenary of First Nobel Peace Prize, United Nations, Geneva, Switzerland, 2000. Winner, Festival of Living Composers 2006, Louisiana Philharmonic Orchestra, New Orleans, USA. Pianist, ANZAC Centenary Tour, Friends of Gallipoli, 2015, accompanying Dame Malvina Major. Piano Performance before HRH Prince Charles, Jazz Choir VCA, 1989. Piano Performance before HRH Queen Elizabeth II, Government House Victoria ABC Showband, 1968. Volunteer performer, Rylands of Kew Retirement Village. Former Musical Director, Good Morning Australia, Network 10 Television. Former Lecturer, Classical-Jazz Fusion, University of Melbourne and Doctor of Music, 2009. Involved in the development of the Australian Composition Resource Kit for High Schools in New South Wales, 2001. Benefactor, Zavod Annual Composers Award, University of Melbourne, Victoria. Benefactor, Zavod Annual Performers Award, Monash University, Victoria. Artist in Residence, Wesley College. Fellow, Mannix College, Monash University. Former Tutor, Composition Courses, Victorian College of the Arts. Former Professor of Music, Berklee College of Music, Boston, USA. Writer, Australian Musician Magazine, ‘for 15 years’. Allan Zavod passed away in November 2016 but the legacy of his music lives on. Only recently his old school asked his widow, Christine Zavod, for permission to name a Jazz Prize after him. “It was nice that he knew about the Australia Day honour just before he died. He would have loved to attend the ceremony at Government House. Allan felt honoured and was grateful to be recognised in his own country” she said. “Allan was a unique musician in that he was classically trained at Melbourne Conservatorium. He later studied jazz at Berklee College of Music, Boston. He was a trailblazer who worked with many of the jazz greats in America and eventually returned to Australia to teach and compose” she said. She hopes his Environmental Symphony will eventually be performed world-wide.